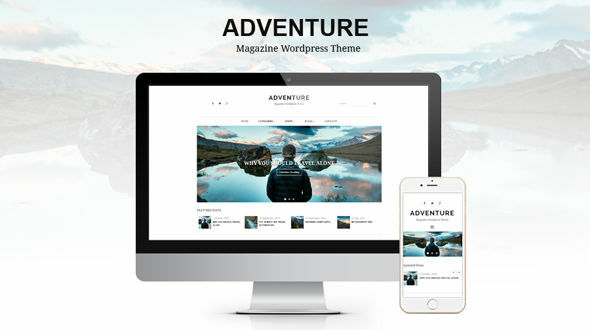 Adventure is a simple, clean and modern Magazine WordPress Theme suitable for blogs, magazines, publishing or review sites. Using Adventure Theme Options you can customize your blog the way you want very easy! Four featured Image styles: Fullwidth, Standard, Sample, Thumbnail image. INSTALLATION: After purchasing the theme and downloading the zip file make sure you extract it so you upload ONLY the theme (adventure-magazine.zip).